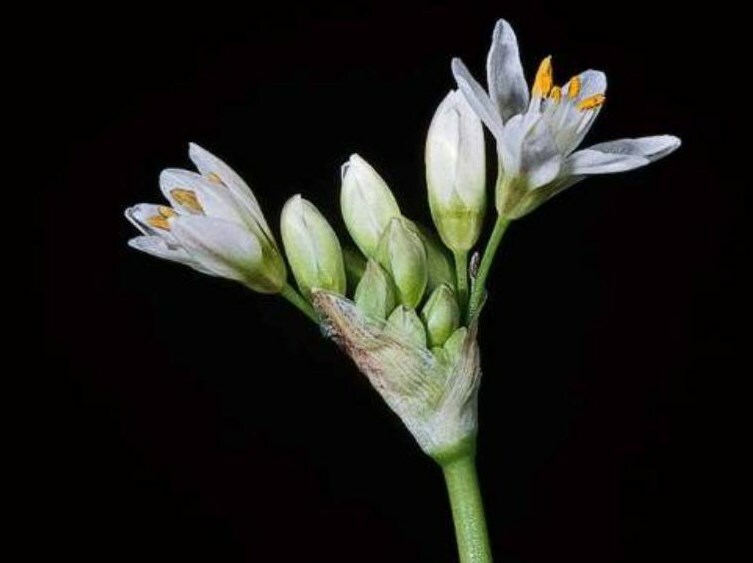 Nothoscordum gracile (false garlic) is a perennial herb/ (family Liliaceae) with white flowers and long narrow grasslike leaves which is found in the central western ranges and south coast ranges of California. It is native to South America. It grows in grasslands. It spreads via seed and underground bulblets. Seeds are dispersed via wind, water and dumped garden waste.